Waiheke Island may be a short ferry ride from Auckland but as the saying states: it's a world away! With AFerry you can book ferries to Waiheke/Matiatia Wharf from Auckland. 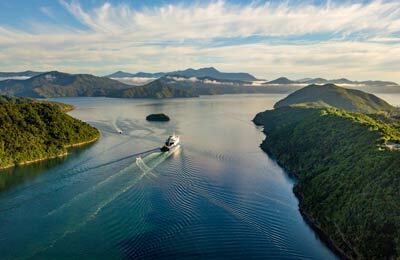 Ferries to and from Auckland are operated by Explore New Zealand . Below you can find Waiheke/Matiatia Wharf ferry times, as well as our best deals. Waiheke Island is the third most populous island of New Zealand. It has many scenic beaches. Its beaches are Waiheke's biggest drawcard. The island boasts plenty of quirky galleries and craft stores. There are around 30 boutique wineries. 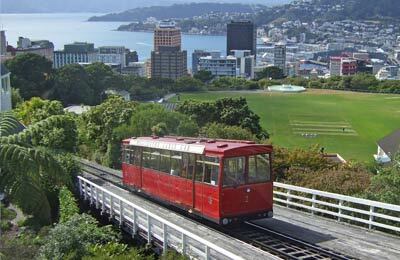 Waiheke Island is considered by many to be the most magical part of the Auckland experience. It has a climate that is slightly warmer than the city, with less humidity, less rain and more sunshine. The check-in closes 5 minutes prior to the departure time. Auckland-Waiheke & Waiheke-Auckland are approximately 40 minutes a part from each other. Waiheke Island is the second largest and the most populated island in the Hauraki Gulf of New Zealand. There are over 9,000 permanent residents and over 3,000 who have second or holiday homes on the island making it New Zealand's most populated island with nearly 100 people/km² and third most populated after the North and South Islands. The ferry terminal in Matiatia Bay with regular passenger and car-ferry services makes Waiheke Island the most accessible island in the Gulf. The ferry port sits at the western end of Waiheke Island.